Welcome to Douglass Hills! A fabulous 4 bedroom, 2.5 bath colonial with lots of updates.. hardwood floors on the first floor, incredible new kitchen with granite countertops, new appliances and a wonderful bay eating area. The paneled family room has bookshelves, a fireplace and entrance to the private back yard. A formal dining room and living room complete the first floor. The second floor has a huge master bedroom suite with walk-in closet and full bath. The other bedrooms are roomy with lots of closet space. The lower level is spacious and studded for quick finishing. A 2-car garage completes the home. Great for a growing family and close to expressways, restaurants and shopping! 401 Moser Rd, Louisville KY 40223 is a Home, with 4 bedrooms which is recently sold, it has 2,052 sqft, <1/2 sized lot, and 2 Car Garage,Attached,Entry Side parking. A comparable Home, has 4 bedrooms and 2.5 baths, it was built in and is located at 305 Moser Rd Louisville KY 40223 and for sale by its owner at $ 289,900. 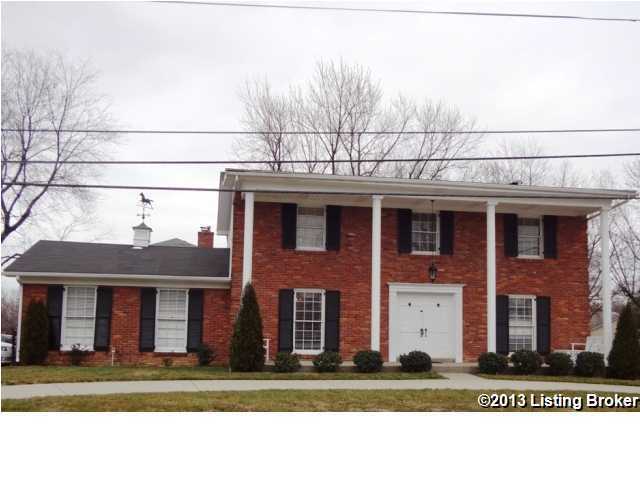 This home is located in the city of Louisville , in zip code 40223, this Jefferson County Home, it is in the DOUGLASS HILLS Subdivision, and Shelby Crossing are nearby neighborhoods.